Aha Education offers special contract services to education institutions with unique robotics education needs. The following are in our list of special services and future endeavors. Aha Education, LLC is now going on its 9th year serving the All Earth Ecobot Challenge as Lead Teacher, Curriculum Writers, Lead Trainer, and Game Developers. 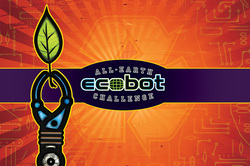 Click Here to Visit the All Earth Ecobot Challenge website.